Here, I’ve listed a few of the current favorites here at Lakeside, but you may also click here to be taken to the tripadvisor web site, where you’ll find more information, including contact numbers and operating hours. 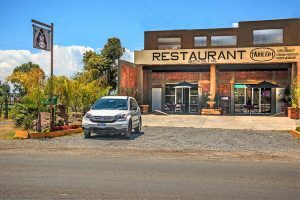 For its relative size, the Ajijic, Lake Chapala area offers a large selection of restaurants, ranging from humble fondas serving home-cooked Mexican favorites to gracefully-appointed restaurants boasting elegant cuisine. 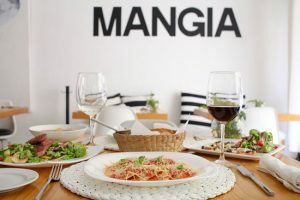 As in any locale, restaurants come and go, but several have stood the test of time by offering consistently good food at very reasonable prices. One can also combine their dining experience with live music in several of the favorite spots in town. 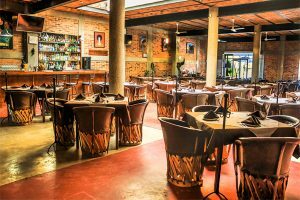 Aside from the obvious Mexican food, among the many choices in the area is a unanimous favorite–Ajijic Tango–an Argentinian steakhouse serving consistently delicious food in a fun and lively atmosphere. 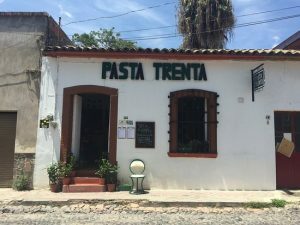 Another favorite is small but excellent, Pasta Trenta, boasting perfect al dente homemade pasta and 30 (trenta) ways to have it served. 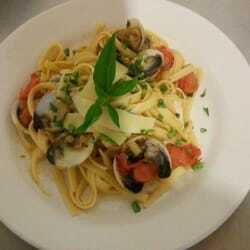 In addition to the excellent pasta, this family-owned & operated Italian eatery has a warm & welcoming atmosphere. Or try Alex’s Pasta Bar, where Italian Chef/Owner Alex, from Turin in the North of Italy, makes fresh pasta daily, and specializes in fish. A fun hip place, becoming a favorite. 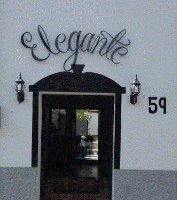 Looking for great food in addition to a fun bar and dancing to live music? 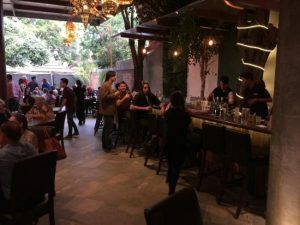 Cafe Adelita’s in nearby San Antonio Tlayacapán. The ambiance is warm and welcoming–the staff attentive. In addition to their melt-in-your-mouth BBQ ribs, they offer a varied menu from seafood to beef, chicken, vegetarian, pizza and burgers. Mondays, Fridays & Saturdays are live music nights … extremely popular. They also offer valet parking and a handicap ramp. Reservations are suggested during the Winter months. Heading West from Ajijic, it’s worth the trip to enjoy a great meal at Arileo’s Steakhouse, which offers Prime Rib on the weekends. 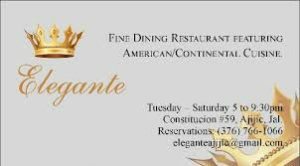 A newcomer to Ajijic, is Restaurante Elegante, with intimate rooms and upscale offerings, it’s a great choice for special occasion, or simply whenever you want to treat yourself to a more elegant dining experience. 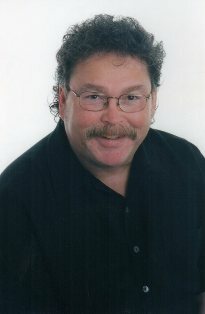 In the past decade or so, the number and variety of restaurants now available to Lakeside residents has increased to the point that it’s not possible to list them all here. There are also Thai, Chinese, German, Cajun, Greek, Japanese, Tapas, Tex-Mex, steak and seafood restaurants. We even have excellent sushi available. 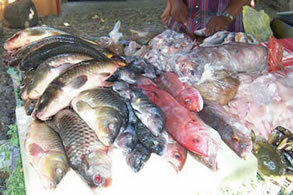 Fresh fish of all sizes and colors are brought in daily from the Pacific Ocean. There are a number of pescaderías, or fish markets, in the Lakeside area whose selection and variety grace the tables of restaurants and households throughout the community.